The naturalist Rachel Carson wrote, “The more clearly we can focus our attention on the wonders and realities of the universe about us, the less taste we shall have for destruction (Carson & Lear, 1998).” This is a collection of some of those wonders and realities. In these pages you will find a mixture of essays and well-documented facts related to key subjects and topics relevant to the Puget Sound and greater Salish Sea ecosystems. Where possible, facts have been brought together to correspond with state recovery priorities identified in the Puget Sound Action Agenda and the Puget Sound Partnership’s Vital Signs. These facts provide vital statistics: the “who, what, when and where.” But the goal here is to provide a foundation for Puget Sound’s story. Figures like population growth, numbers of endangered species or even the depth of Puget Sound are all plot points that help us understand how the ecosystem connects. Other facts, like the stunningly long life of a rockfish—they can live to be 205 years old—or the weight of a giant Pacific octopus—the largest ever recorded was said to be close to 600 pounds—might fall into Rachel Carson’s “wonders” category. At the same time, too much information can be overwhelming. Volumes upon volumes have been written about the makeup and health of the Puget Sound ecosystem, but few of us have the time to read them all. While no collection of this type can ever be considered ‘complete,’ our goal is to identify the most important, policy-relevant information. We asked close to two-dozen Puget Sound-based scientists and writers a simple, but challenging question: What do we really need to know about Puget Sound recovery? Their responses follow. We would like to thank the editorial board of the Encyclopedia of Puget Sound for its guidance throughout this process, as well as the Puget Sound Partnership and the Environmental Protection Agency for providing funding for this document. 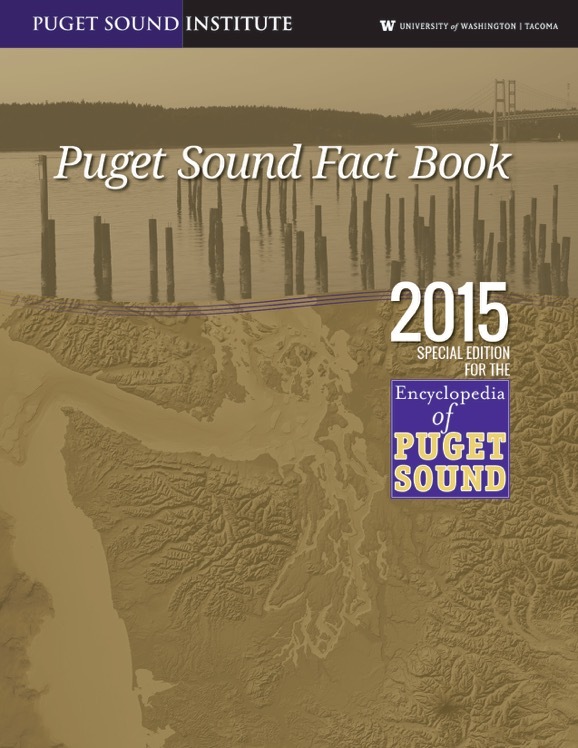 Future updates to this material will be made available on the Encyclopedia of Puget Sound. This project has been funded wholly or in part by the United States Environmental Protection Agency under Assistance Agreement #CE-00J63701. The contents of this document do not necessarily reflect the views and policies of the Environmental Protection Agency, nor does mention of trade names or commercial products constitute endorsement or recommendation for use.